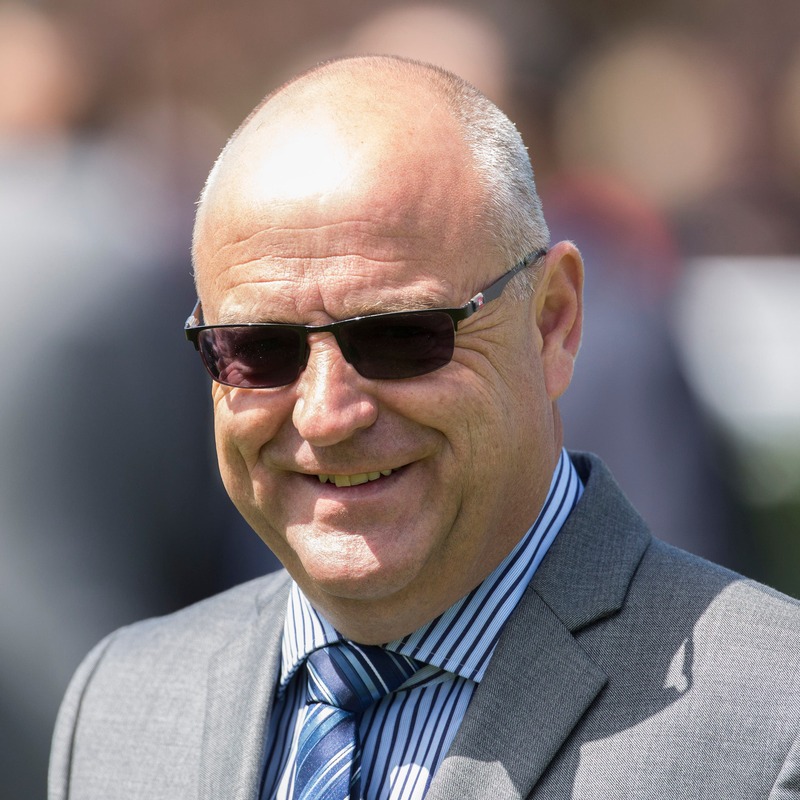 Richard Fahey will try to celebrate being champion trainer at York for a ninth time by winning the feature Coral Sprint Trophy there on Saturday. The Musley Bank handler is three-handed in the valuable six-furlong handicap with Kimberella, George Bowen and Brian The Snail, as he looks to cap another successful year in the Knavesmire. The pick of his trio could be Brian The Snail, the mount of Paul Hanagan and whom Fahey believes ran a better race in the Ayr Gold Cup than his final position of ninth suggests. Fahey feels his other two will have to pull out more to lift the prize. “Kimberella doesn’t have much in hand and we’re claiming off him. He does like the course, but he does need to be on his A-game. Great Habton trainer Tim Easterby expects his three runners – Flying Pursuit, Golden Apollo and Staxton – to do themselves justice. “Flying Pursuit ran a cracking race in the Ayr Gold Cup and loves the track. He’s in great form,” he said. “Golden Apollo was a bit disappointing at Ayr. We don’t know why. We couldn’t fathom it out, but he seems OK.
“He’s in good form and we’re very happy with him. Easterby has drawn a line through Vintage Brut’s run in the Two Year Old Trophy at Redcar and is looking for the youngster to show his true colours in the coral.co.uk Rockingham Stakes. He said: “He’s fine after Redcar. He just couldn’t win from that bad draw (20). “We’ve having another try at six furlongs, so we’ll see. The Fahey-trained Cosmic Law was fourth in that Ayr race and should be suited by the step back up to six furlongs. “Any rain would help him. It was just a bit sharp for him (over five furlongs) at Ayr last time, but he ran OK. He was getting going late on,” said Fahey. Fahey also saddles Space Traveller, who drops down in grade after the Middle Park Stakes at Newmarket won by Ten Sovereigns. “Space Traveller just found the competition a bit hot the other day and he didn’t handle the track,” said Fahey. “If he goes back to his French form (third in a Group Three at Maisons-Laffitte) he’d have a chance. Jeremy Noseda can see Garrus being thereabouts after finishing fourth in Newbury’s Mill Reef Stakes following novice wins at Newmarket and Newcastle. “Garrus is in good nick and I’m pleased with him. The six-furlong trip will suit him, as will the track,” he said. “He needs to step up a little bit, but he is in good form and I’m sure he will be competitive.